Earn $0.50 in VIP credit. Click to Learn More. DeFeat’s Woolie Boolie 6 Inch Sock is a thick merino wool sock with heel-to-toe padding, perfect for cool weather adventuring. 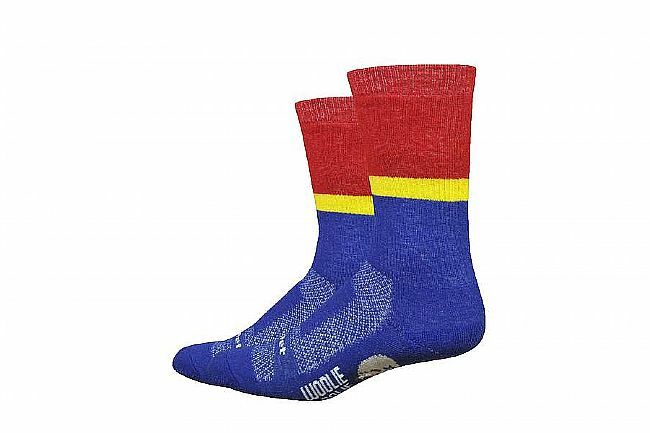 The same qualities that make the Woolie Boolie a great outdoor sock, also make it a superior sock for casual wear, providing luxurious comfort to everyday activity. Materials: 49% Nylon; 48% American Merino Wool; 3% Lycra. 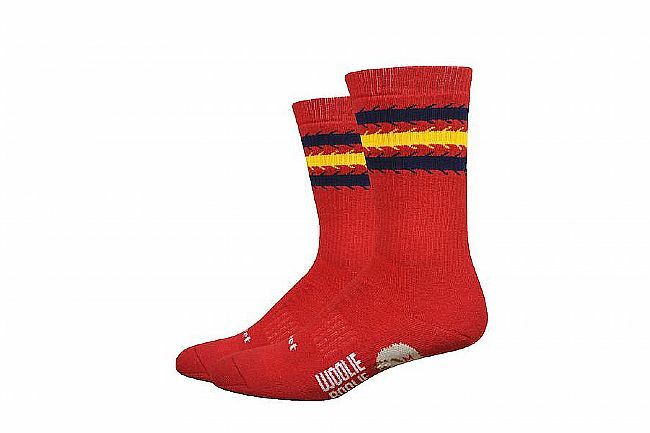 I purchased four pairs of DeFeat's Woolie Boolie 6 inch socks for using during the winter riding and hiking season. With the extra padding on the foot, nice seam stitching, and all around high-quality construction, these are recommended for anyone going outdoors, or those looking for added warmth around the house. The socks wear well, do not pull or lose their sizing. The socks' front is nice and square, thus making it not binding within a cycling, hiking, or walking shoe. These are the real deal! Thick, comfortable, warm socks, that keep your toes warm even when wet. Not itchy at all. Highly recommend for winter riding, and just wearing anytime. I got these for cycling, but they feel so good that I wear them for walking, working, hiking, and everyday use. I plan to get more so I can wear them all the time. You can never have too many socks. These are good. Warm. Good fit. Bought these on a BTD sale. Very warm and they don't shrink when washing. I have several pair for winter and they really hold up well.